Star Citizen is a game that TAW has tried to bring in more than once, but in the end the lack of content has always made it difficult. However, SCZ has lots new features, and with over 50 flyable ships Star Citizen is better than ever. If you would like to see this game in TAW please fill out the VG Future Games Form. Imagine a universe that combines the freedom of exploration, the thrill of combat, and the unique challenge of building a life in space. 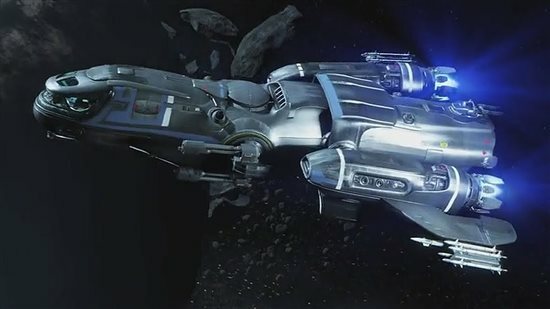 Star Citizen puts ultimate control in the hands of the player, whether you're making your way as a cargo hauler, exploring the vastness of space, or scraping out a living outside the law, you will navigate through a mixture of procedurally generated and handcrafted worlds and interact with a variety of characters. 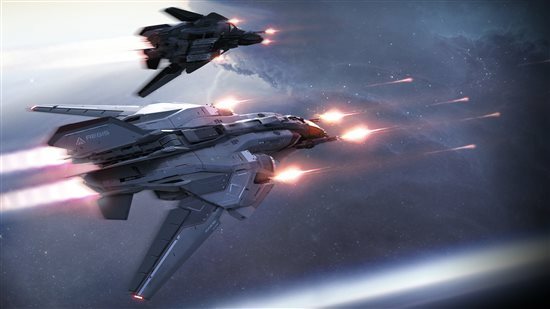 Star Citizen is in active development. 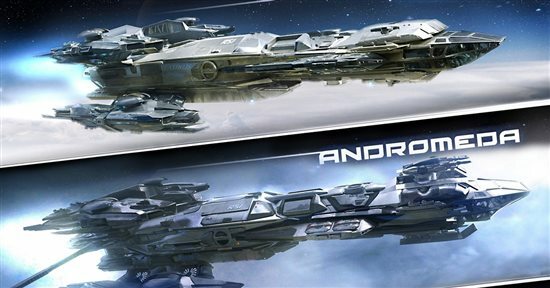 You can download and play Star Citizen Alpha 3.2 now. Additional features and updates will be released as they are developed. From high speed dogfights to intense FPS warfare, battles can occur anytime, anywhere. So whether you're chasing down ruthless bounties or raiding civilian cargo haulers, it'll be up to you to decide which side of the law you want to fall on. Dive into a dynamic economy and seek your fortune. Traders are drawn to the thrill of amassing resources, currency and social status. Whether trading contraband on the blackmarket or building legitimate empires, the life of the trader requiresresourcefulness, strategy and an entrepreneurial spirit. The explorer builds a life on the pursuit of knowledge and discovery. They will seek out the unknown or sometimes just surrender to the thrill of getting lost. Whether it's a hidden outpost, a derelict ship or a beautiful sunset, explorers are eager to see what's waiting over that next ridge. Be a part of something greater. Engage other players to crew a multi-crew ship or build a player-run Organization into an entire spacefaring fleet. Either way, the Star Citizen Universe is all about community. In here, your actions have consequences that will either draw cheers from players and NPCs or get you shot. Star Citizen is all this and more. I could have made this post go on for many pages, but I urge you if you don’t know what Star Citizen is? Go the SCZ website, check out youtube, and find out for yourself. World War 3, The Game! World War 3 is one of the most realistic levels in the history of FPS. Join the battle on the streets of Warsaw, Berlin and Moscow. Take advantage of the urban environment to surprise enemy forces and dominate the battlefield. 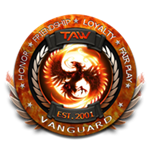 Vanguard is pleased to welcome a new member to the Vanguard staff along with a promotion! Zenmire has stepped up into the VC role and has already gotten to work. Zenmire's experience in this role and other roles in Vanguard including PIA will prove to be useful as he directs teams in the right direction. The new addition to the Vanguard team is Rekon, having experience in many different administrative roles and holding a solid nick name as the "meme king" Rekon who really needs no introduction will be an amazing addition to the VG Staff and provide much needed guidance to upcoming teams as well as help introduce new games into TAW. A huge HOORAH! Goes out to the both of them, and for Rekon, welcome to Vanguard! Vanguard is proud to announce that the [COD] team has progressed to Tier 2 status! With this, they are now open for internal transfers. If you would like to transfer to the Call of Duty unit or attend events with the team, feel free to join them in their channels in Vanguard or talk to the Spin Up Leader, John Lockwood, for more information. This will be broken down into three parts. 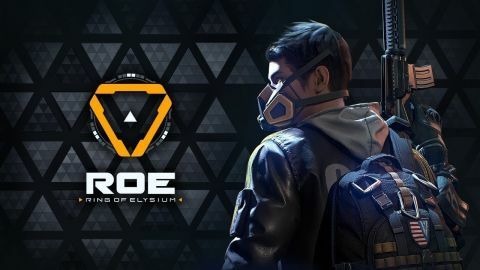 The 1st part is an overview of Vanguard, the 2nd part is an overview of the game, Ring of Elysium, and lastly a concluding Q&A section for the Vanguard staff and/or the [ROE] Team. As of now no mandatory have been set up by the team however around the time of the spin up meeting the team should have some events scheduled. MHW spinup meeting will be this Saturday 10/6/18 at 1500 EST/1900 GMT. This will be broken down into three parts. 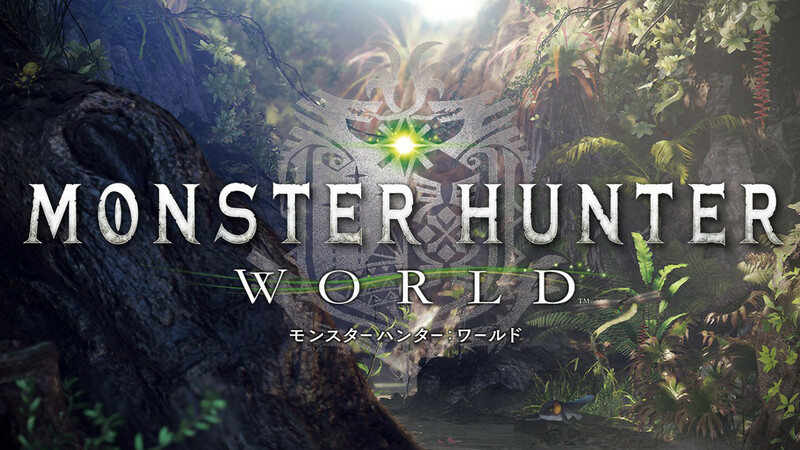 The 1st part is an overview of Vanguard, the 2nd part is an overview of the game, Monster Hunter World, and lastly a concluding Q&A section for the Vanguard staff and/or the [MHW] Team. As of now no mandatory have been set up by the team however around the time of the spin up meeting the team should have some events scheduled. If you have any questions, please contact any of the Vanguard Staff!